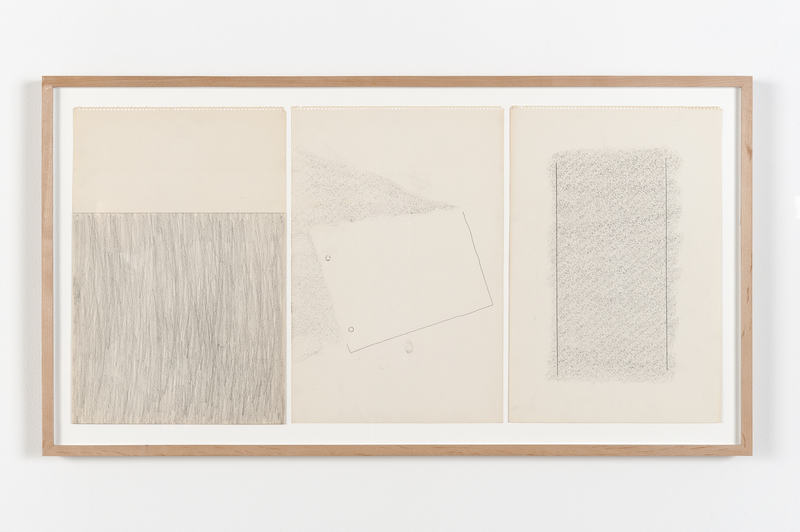 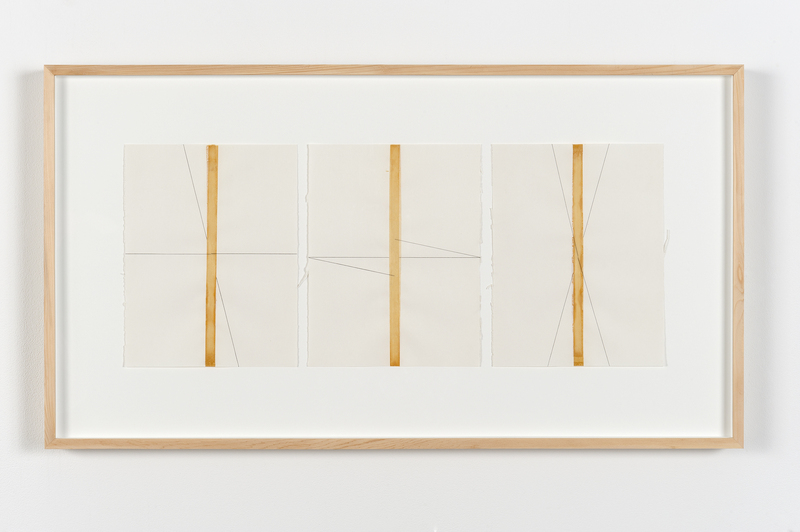 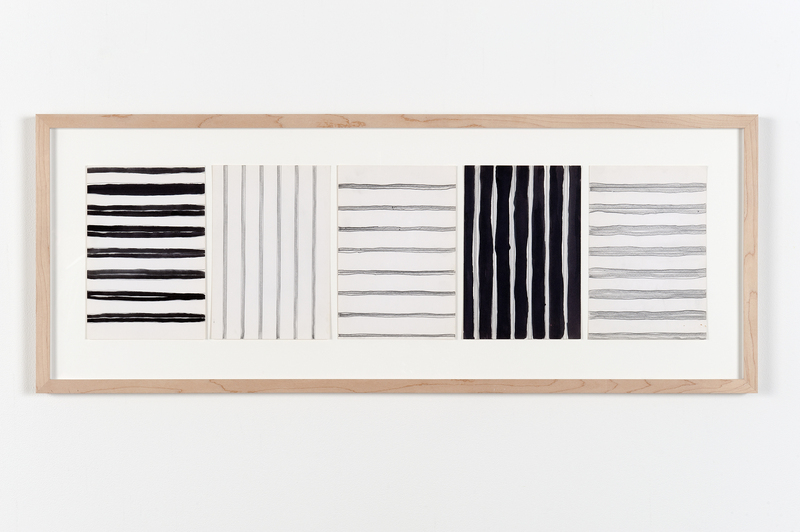 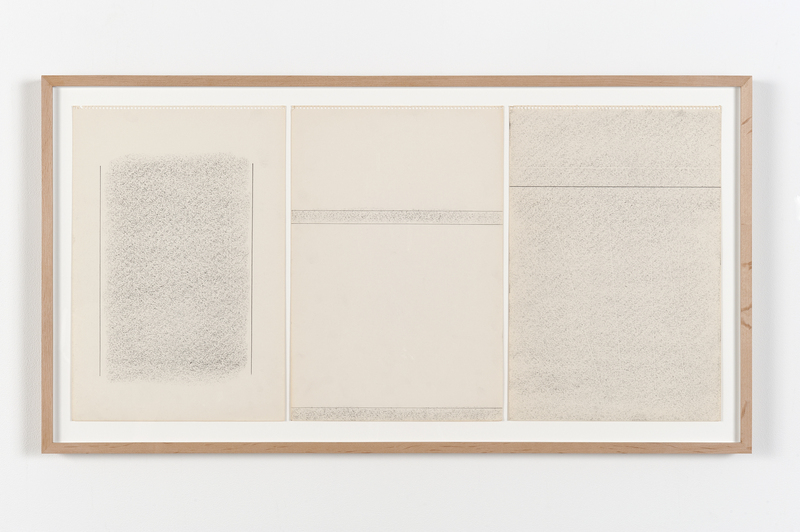 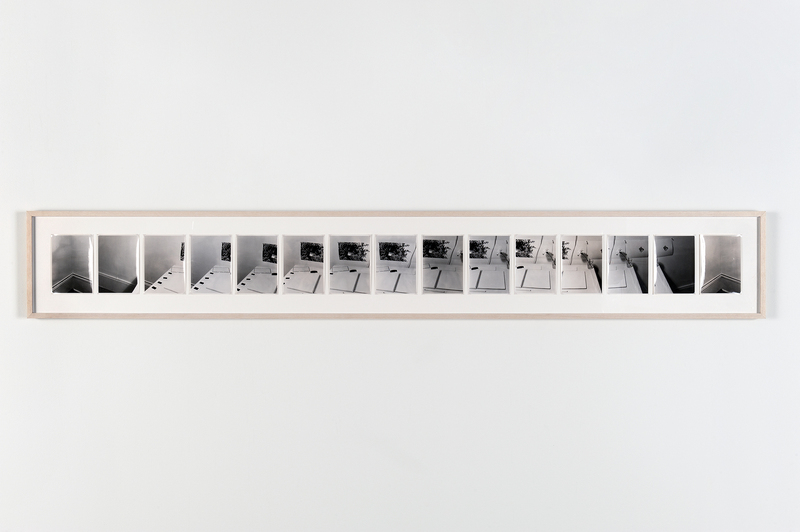 Catriona Jeffries Gallery is pleased to announce an exhibition of early artworks (1969–1983) made between Vancouver and Rome by the Vancouver-based artist Robert Kleyn. 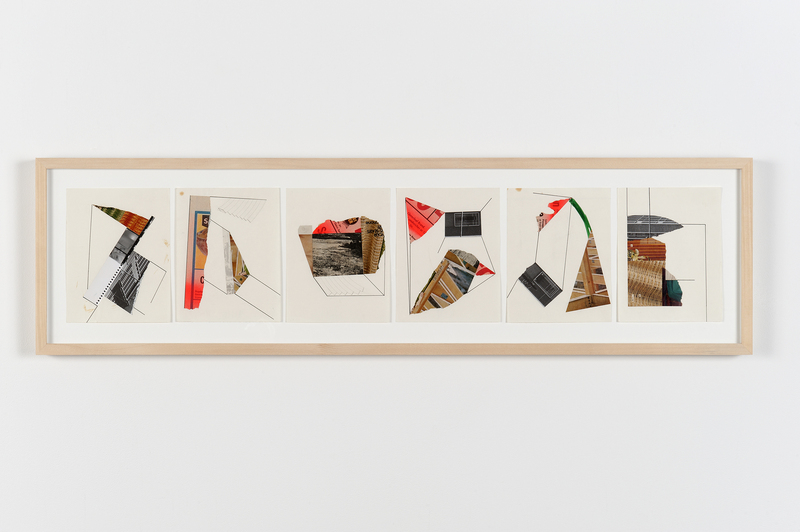 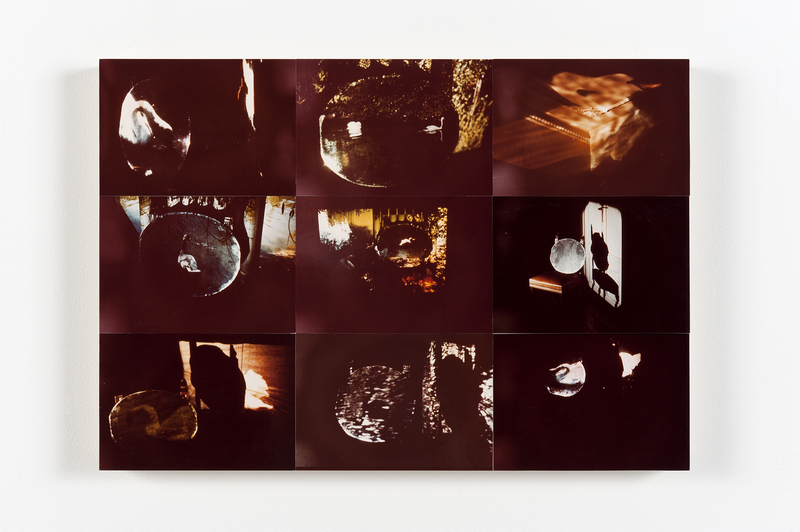 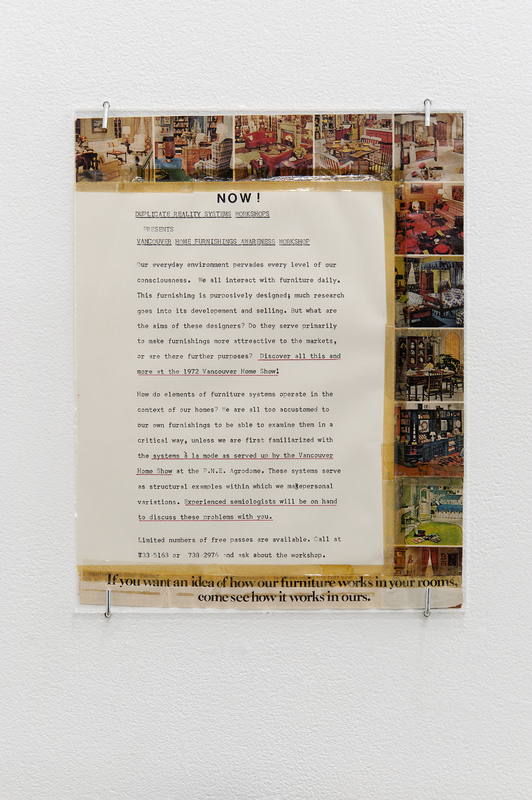 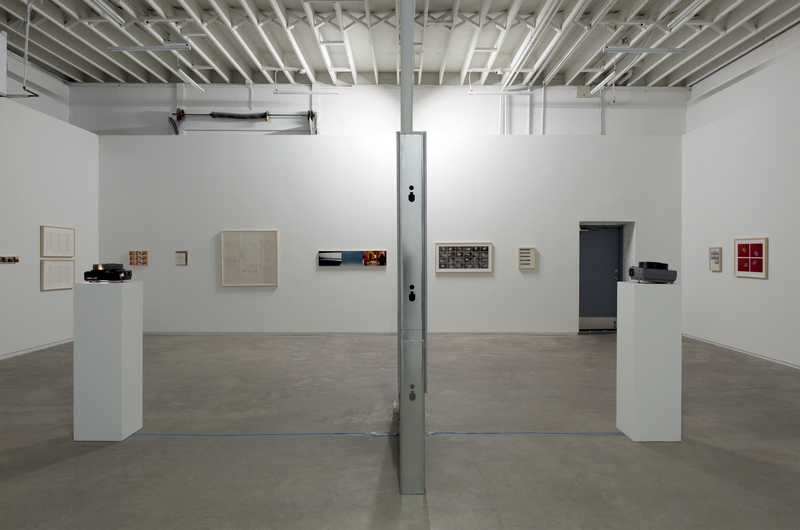 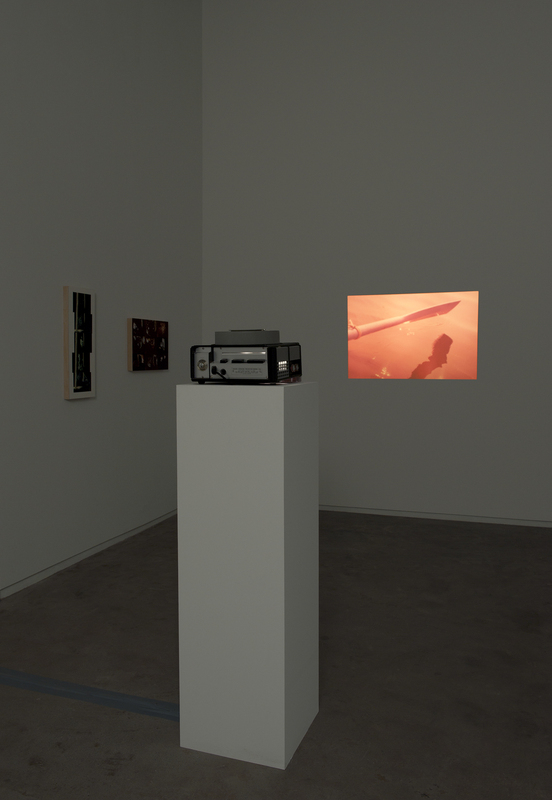 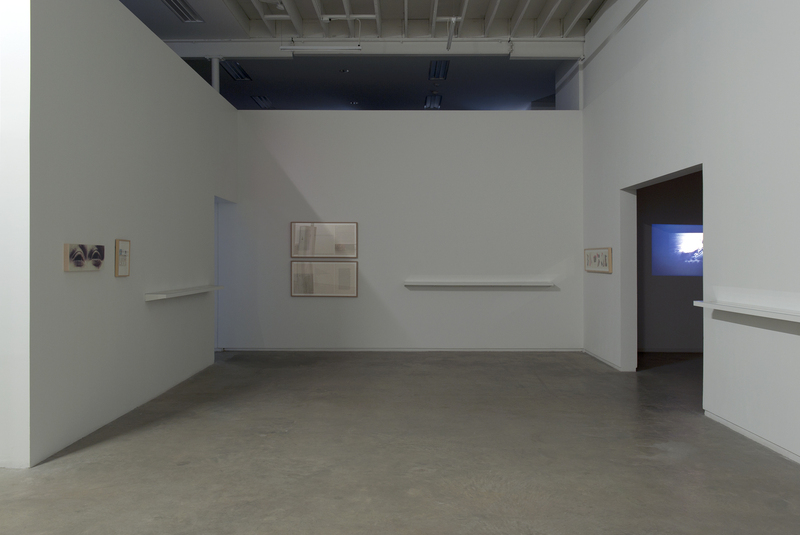 Spanning photography, 35mm slides, super 8 film, collage and works on paper, the works in the exhibition present Kleyn’s distinct perspective and subversion of conceptual art strategies circulating internationally throughout the 1970s. 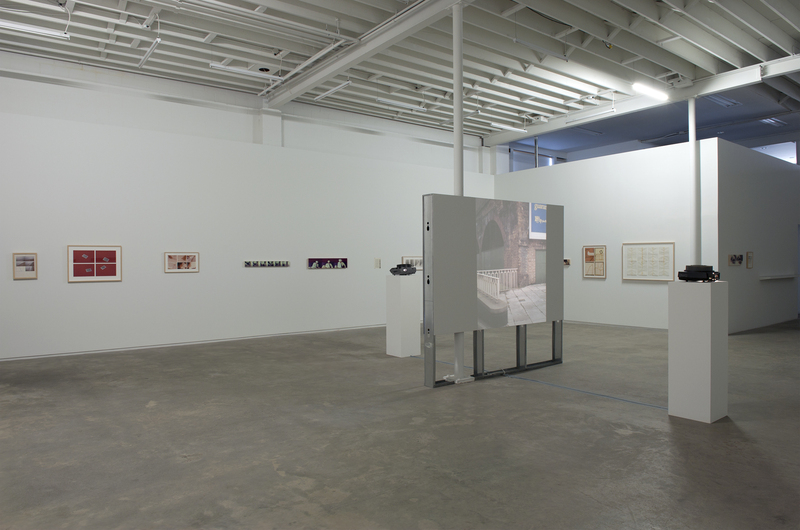 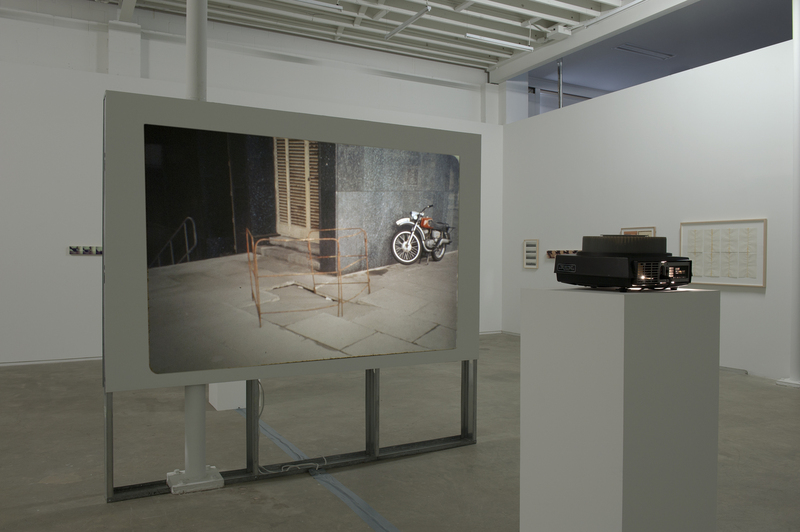 While studying architecture in the late 1960s at the University of British Columbia, Kleyn was introduced to Rodney Graham, Ian Wallace and other artists associated with the university at the time, as well as becoming aware of the information and landscape orientated conceptual artworks of the N.E. 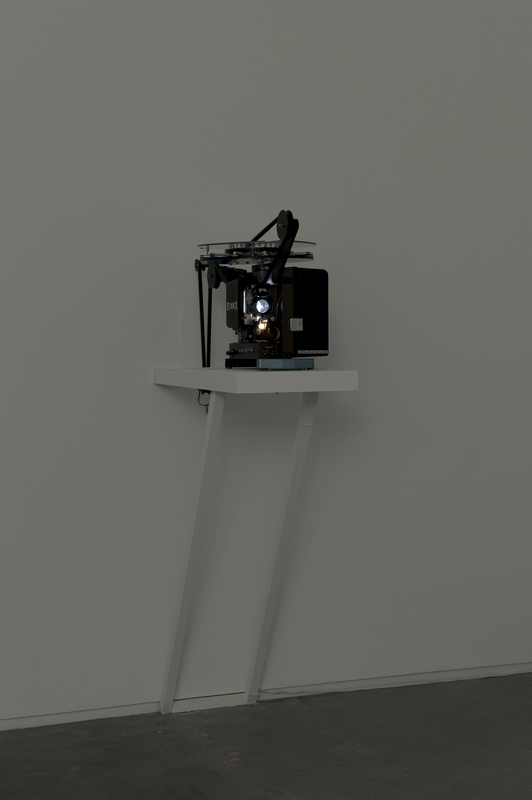 Thing Company. 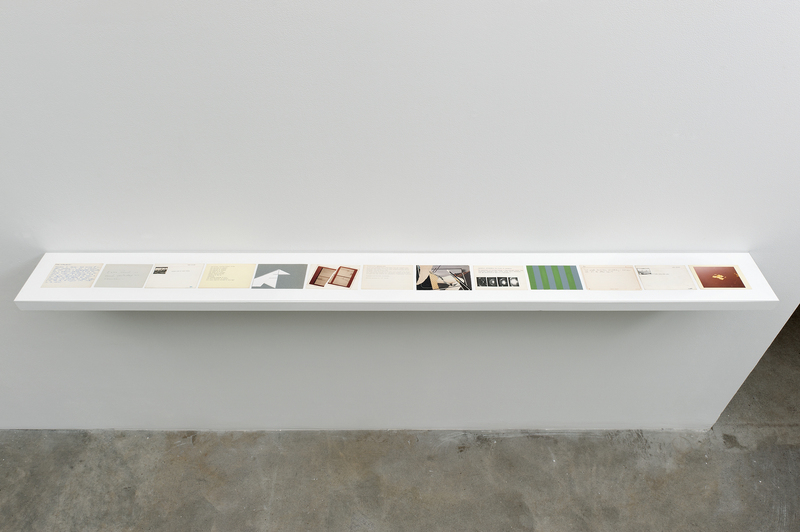 In 1972 Kleyn, along with a number of his peers, researched and produced the book Architecture of the Fraser Valley, which has now become a key taxonomy of local architectural vernacular. 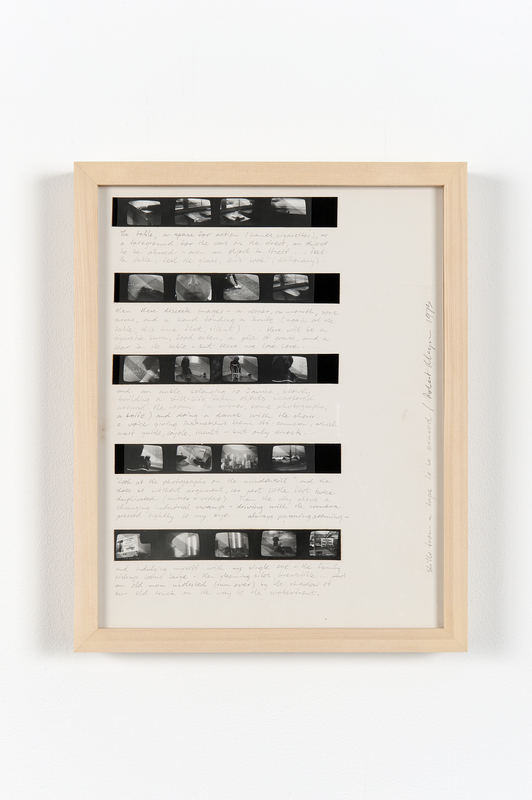 During this period, Kleyn produced the earliest works in the exhibition, a series of line rubbing works on paper and drawings with scotch tape, which mark the beginnings of the articulation of his own aesthetic systems using available and convenient structural armatures, such as the roll of film, the slide carousel and the reel of super 8, as well as existing visual armatures such as the still life and pan. 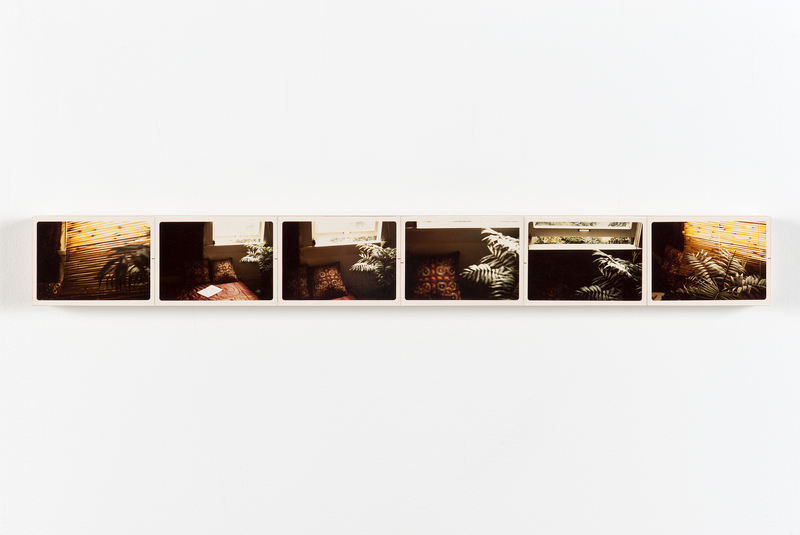 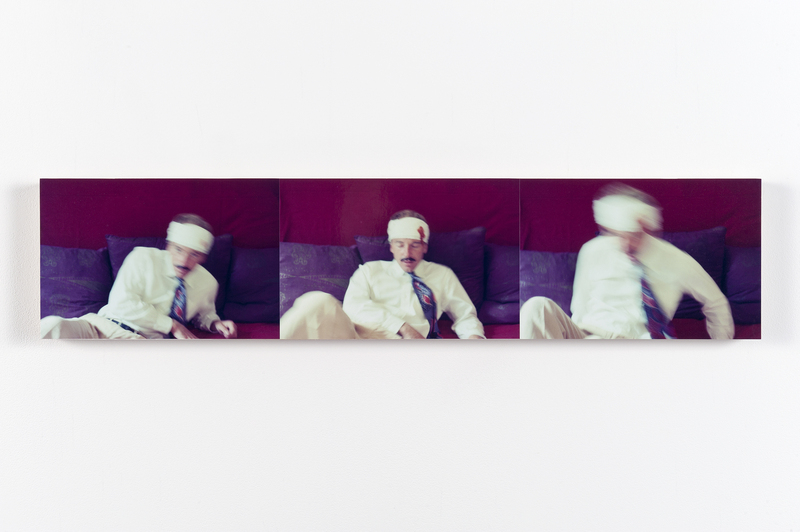 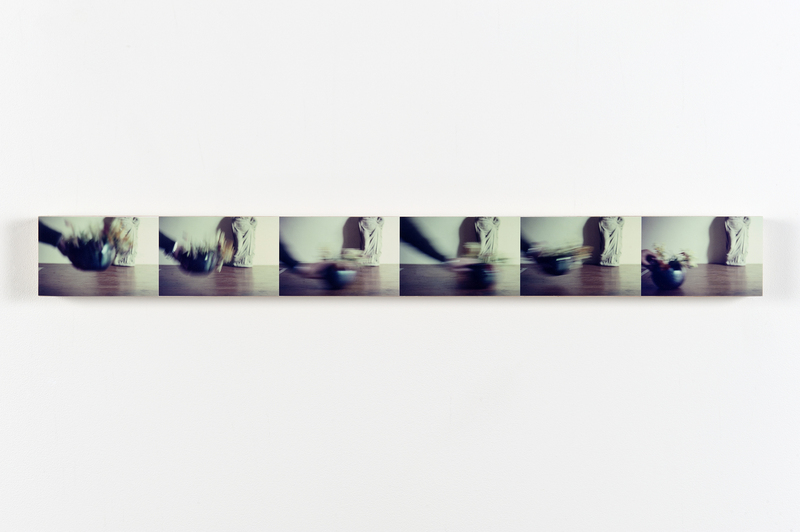 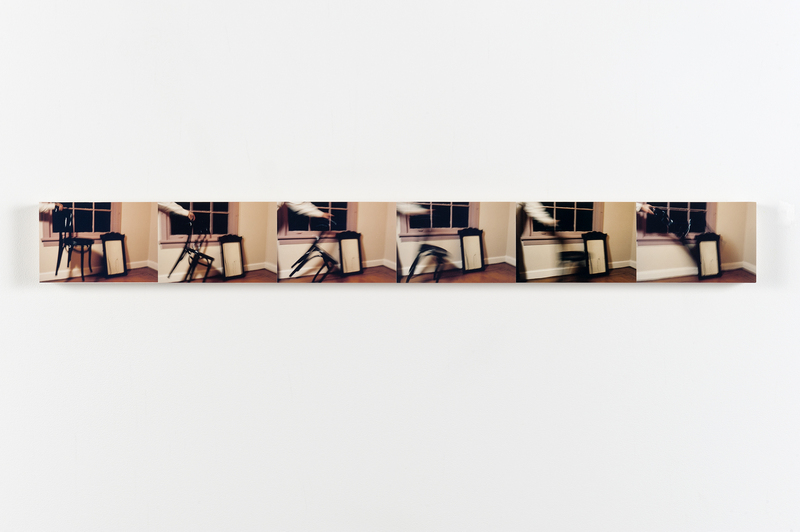 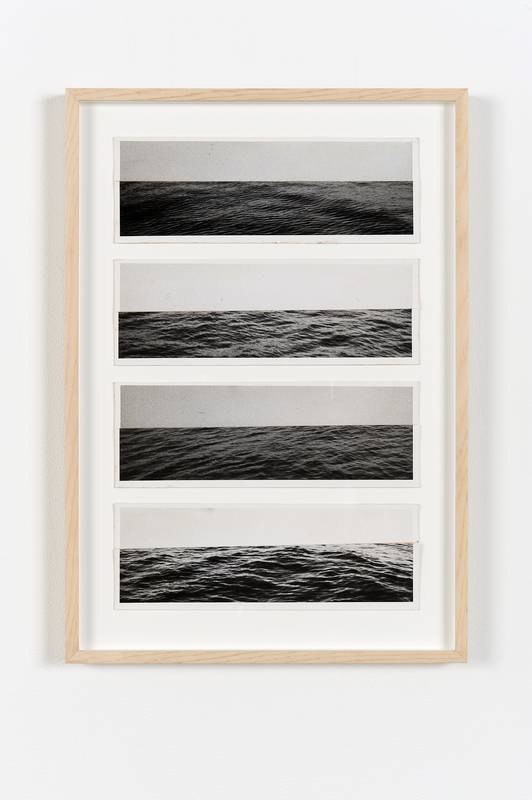 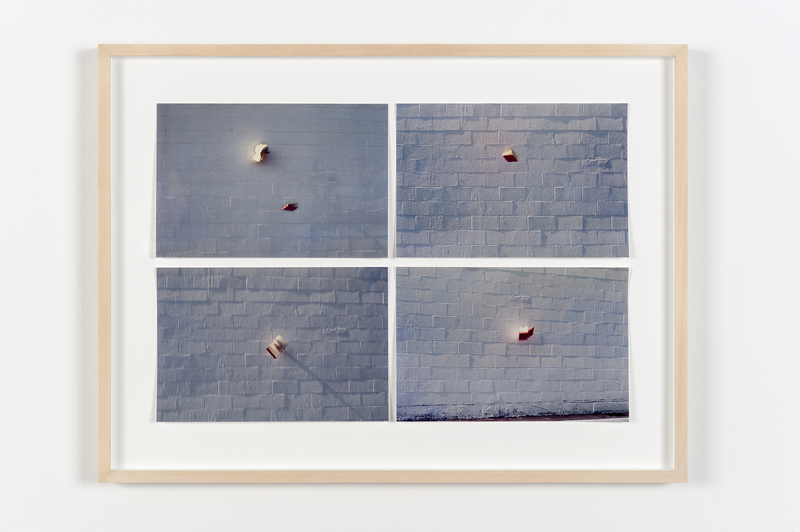 His series of photographic sequences of book throws were made at this time, an example of Kleyn’s epistemological humour, as well as Stills from a tape to be erased (1973) a key work which articulates the artist’s use of rephotography, where the transferral from one medium to another enables privileging the idea over the form. 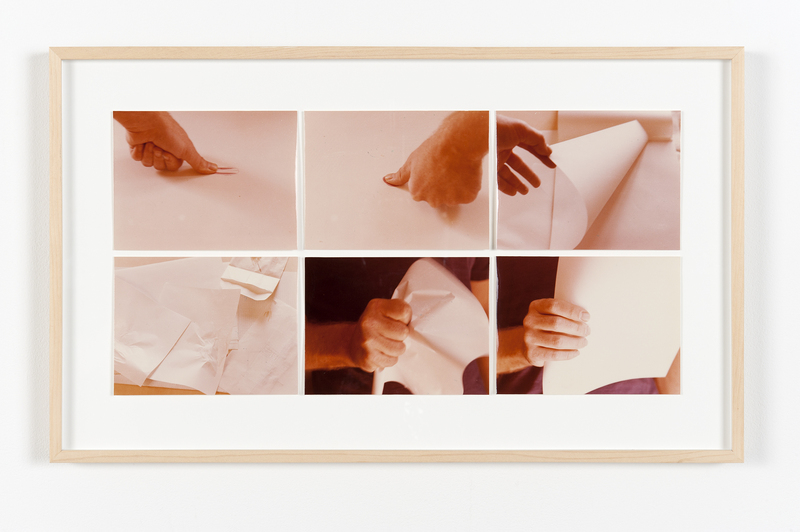 In 1975 Kleyn moved to Rome, where he continued to make art alongside working within art direction in the Italian film industry, particularly with Roberto Rossellini. 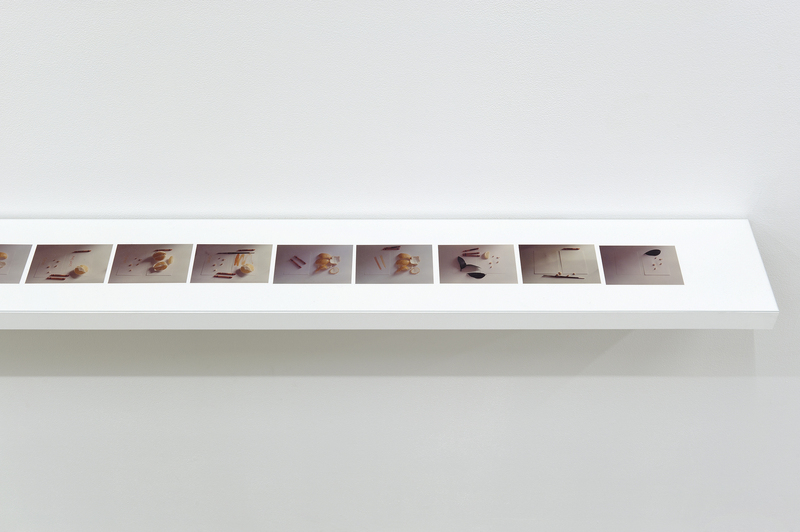 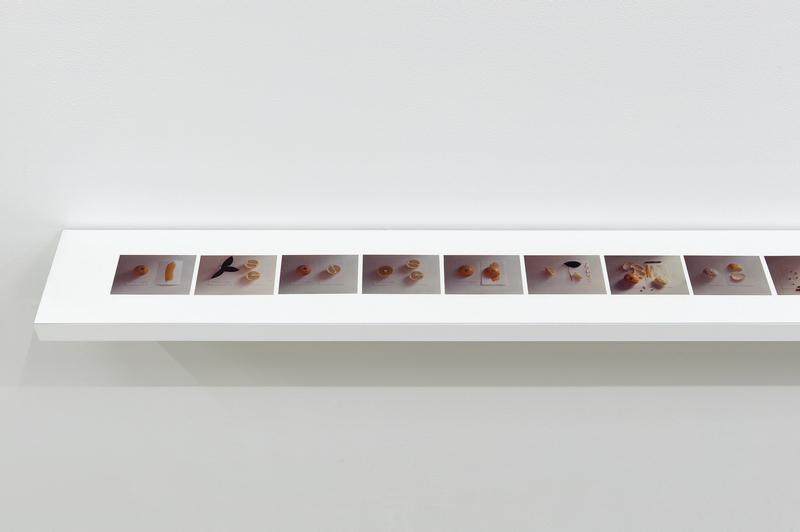 Throughout this period Kleyn produced his series of still lives, present in the exhibition in the slide sequence Tabula Rasa and the photographic sequences Lemon Table and Orange Dissection (all 1976). 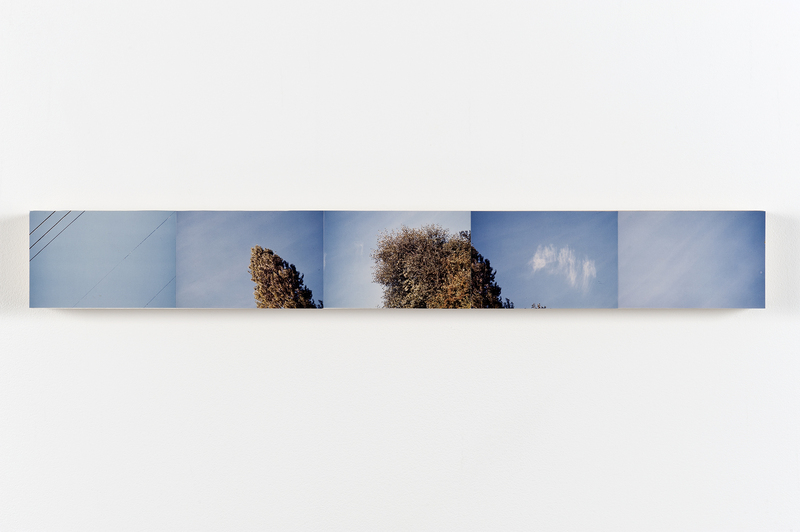 The artist continued in his ontological use of the camera via his pan works, be them of hotel ceilings while location scouting in Tunisia, his own desk, or the sky. 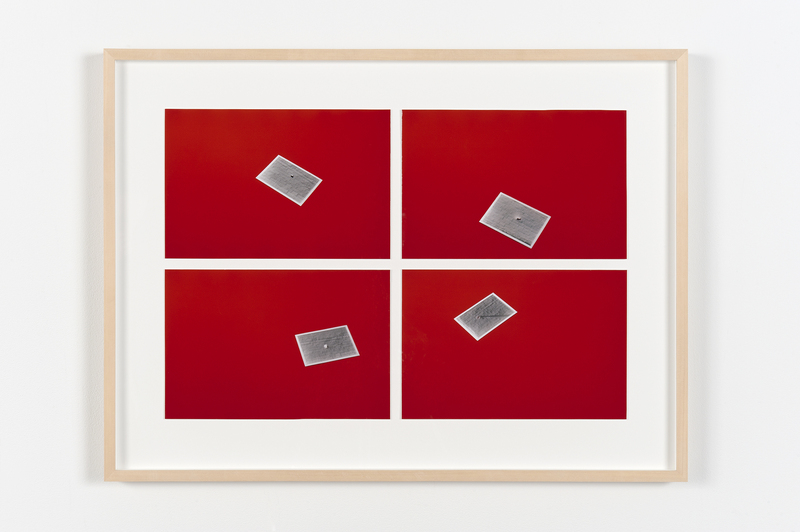 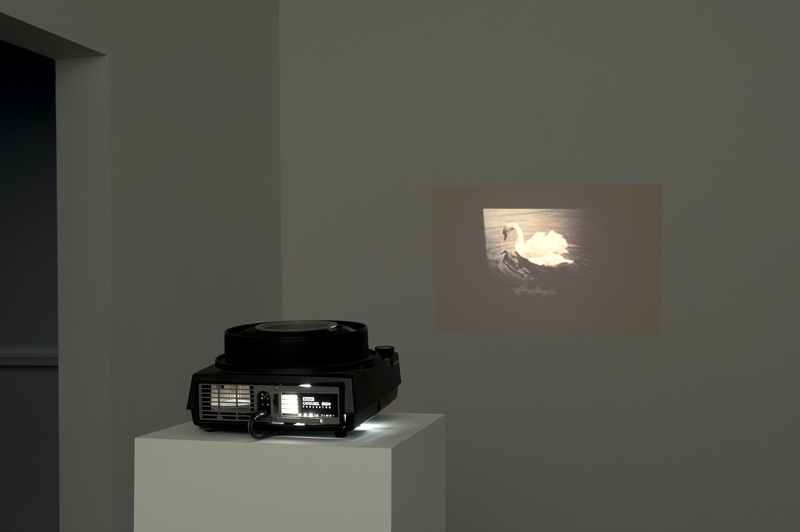 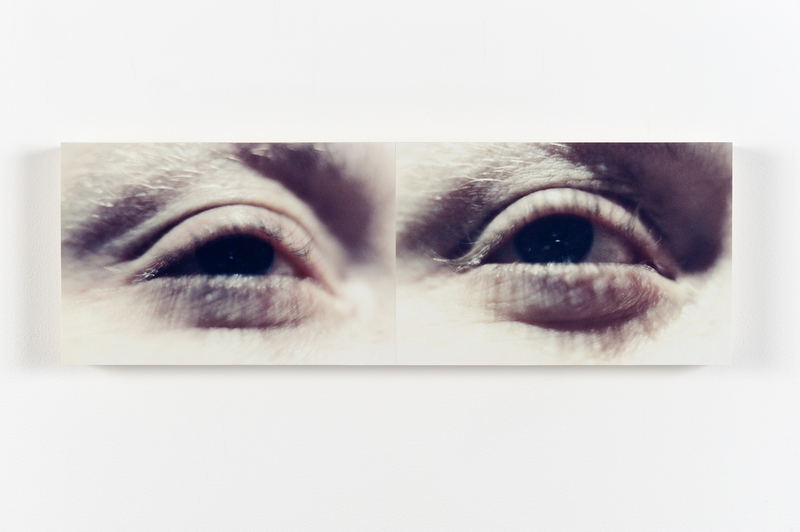 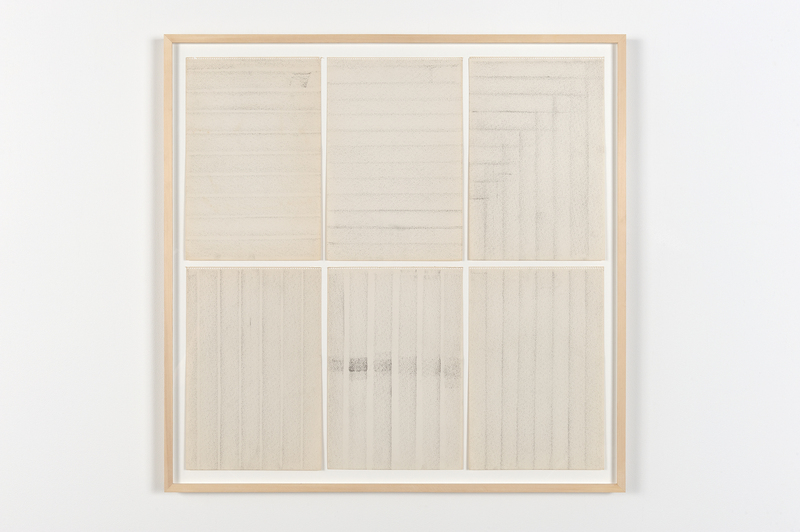 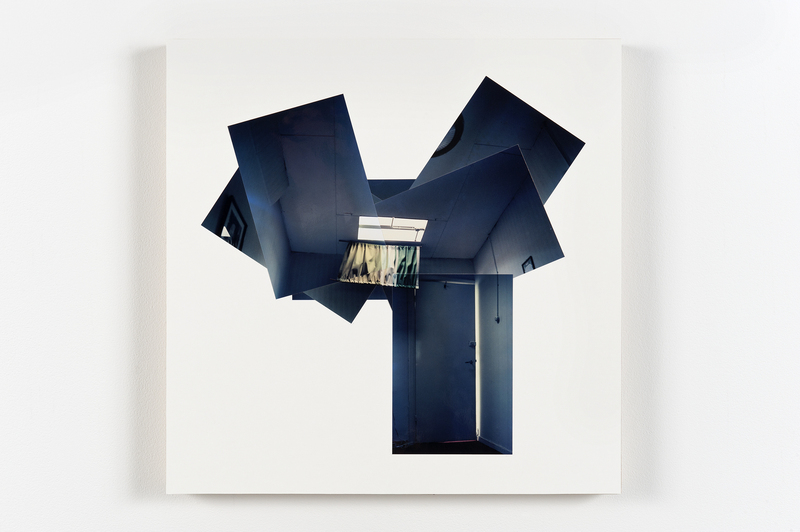 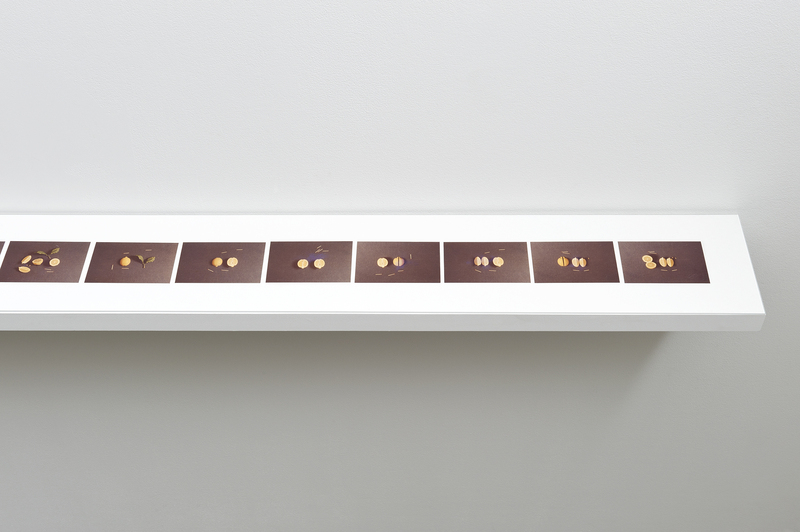 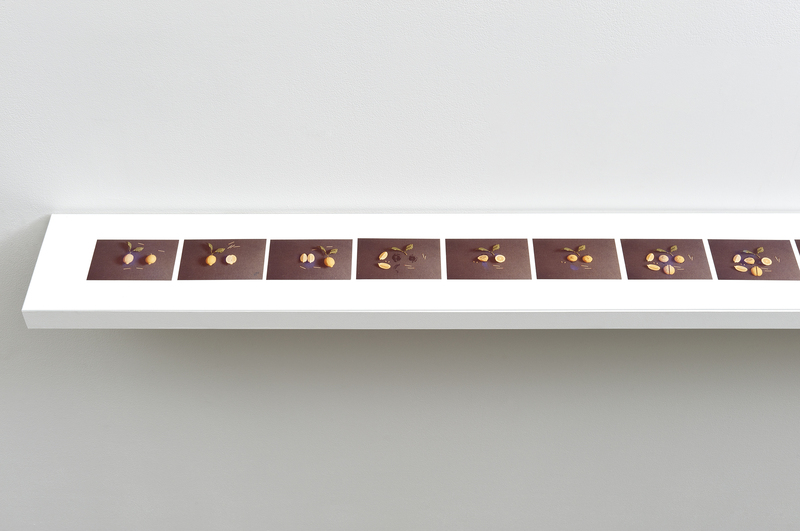 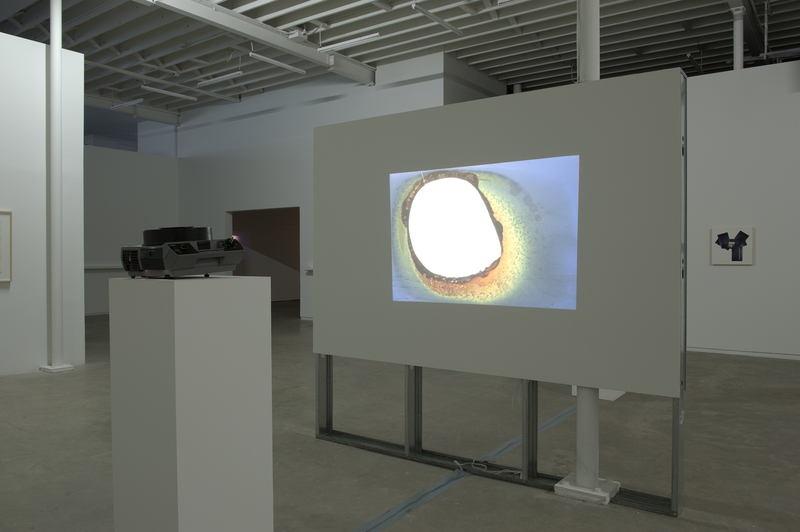 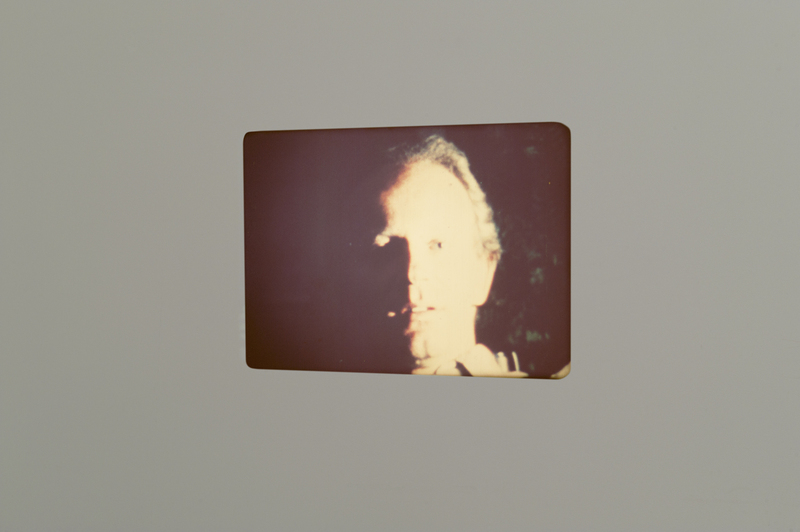 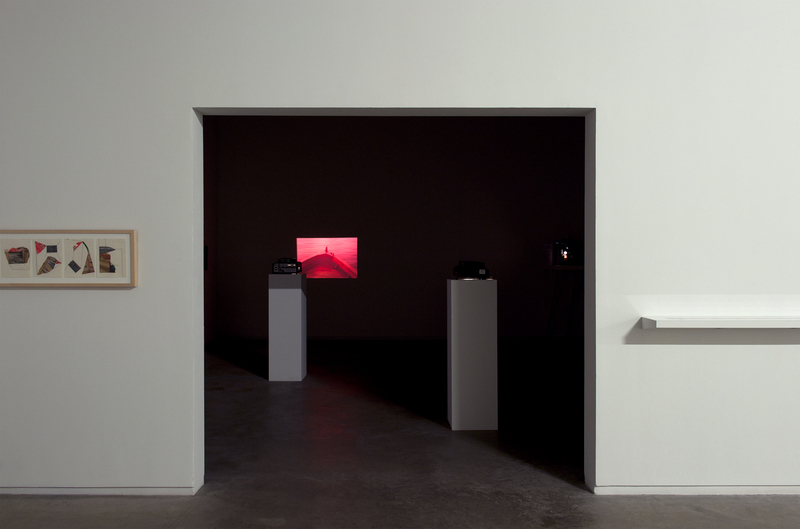 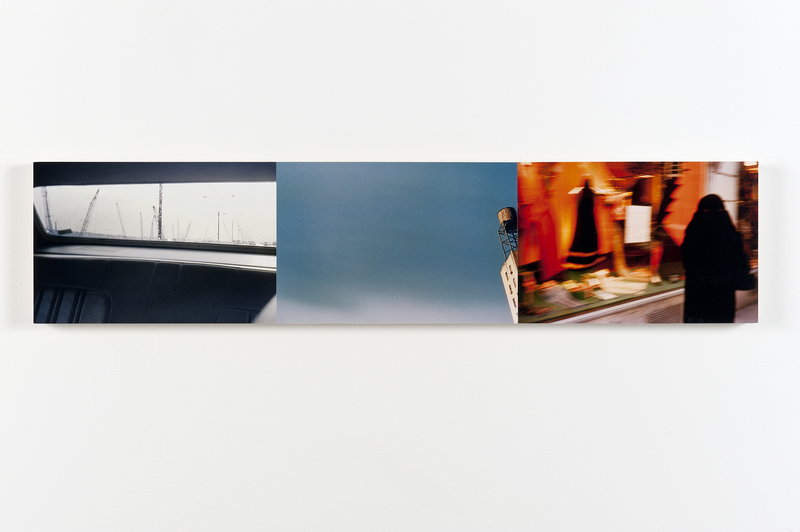 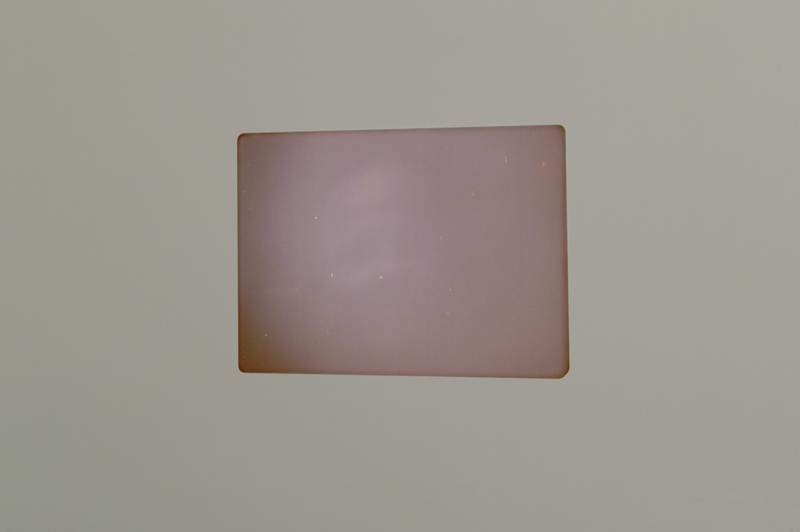 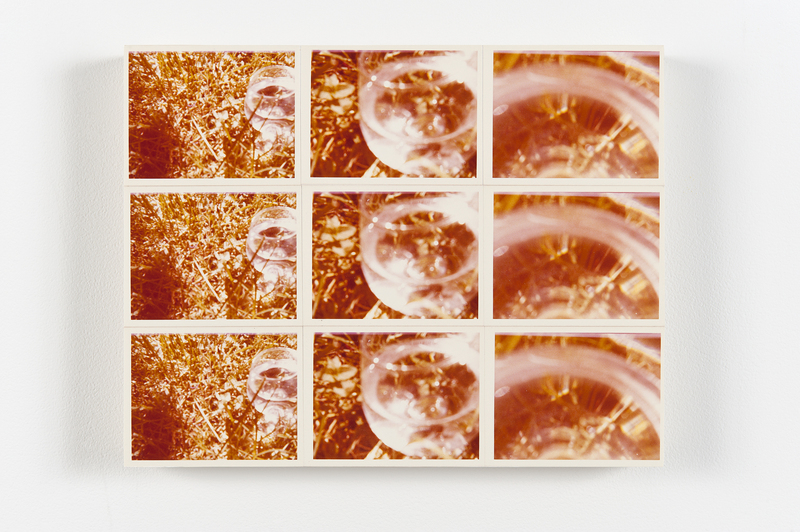 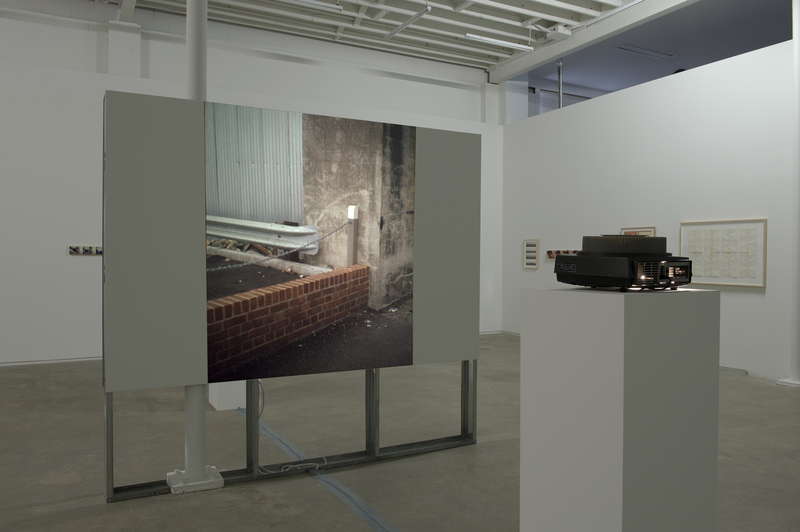 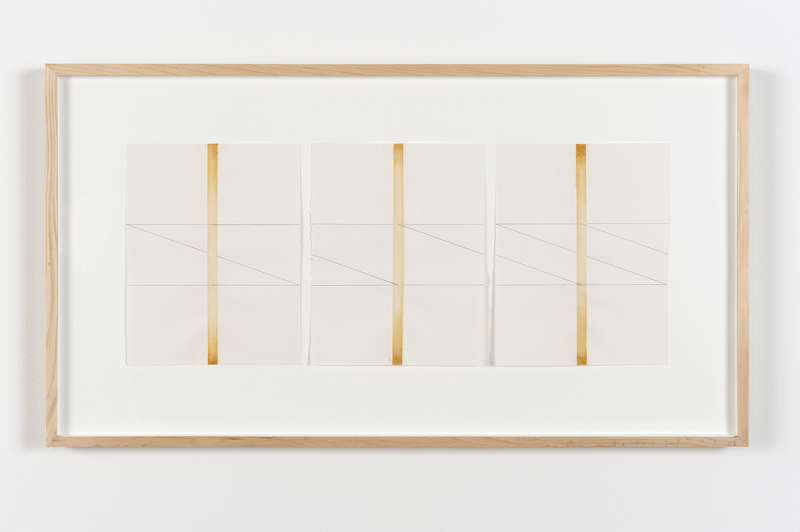 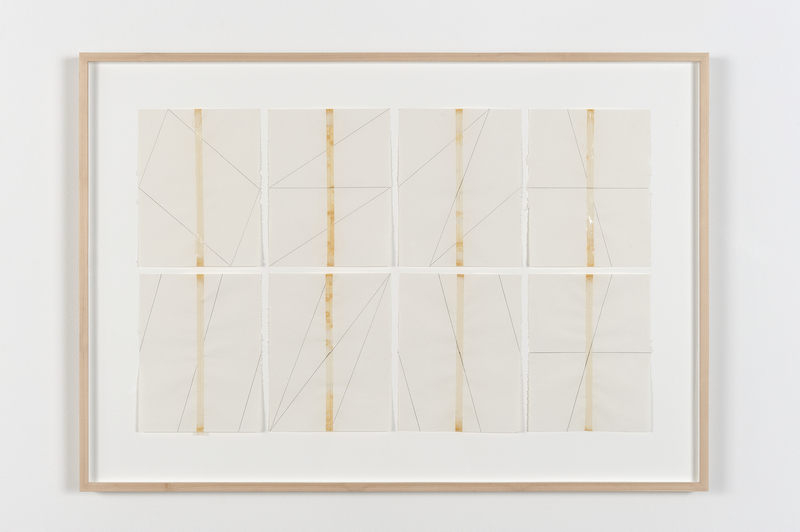 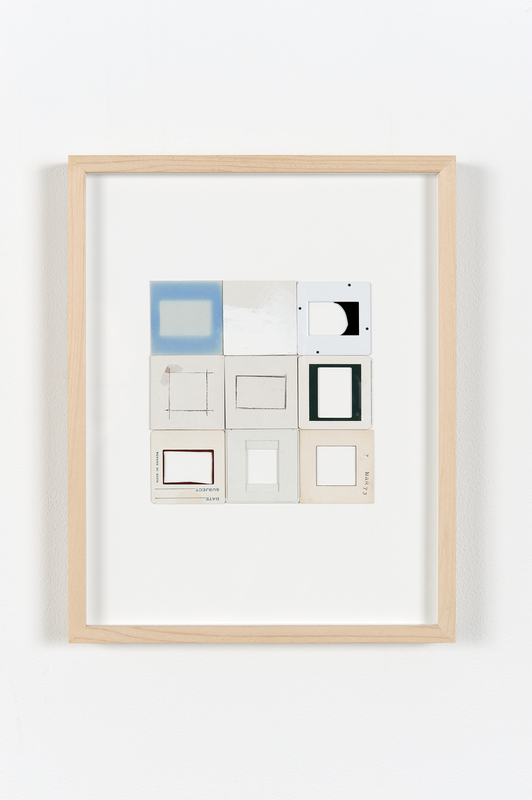 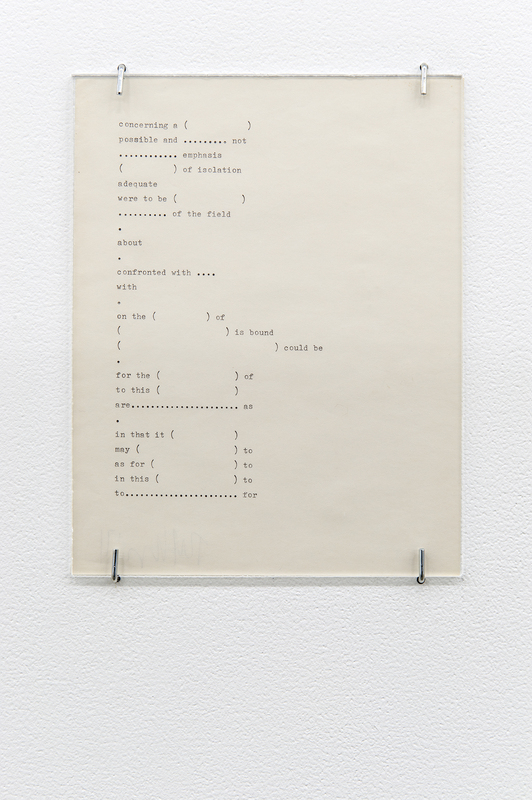 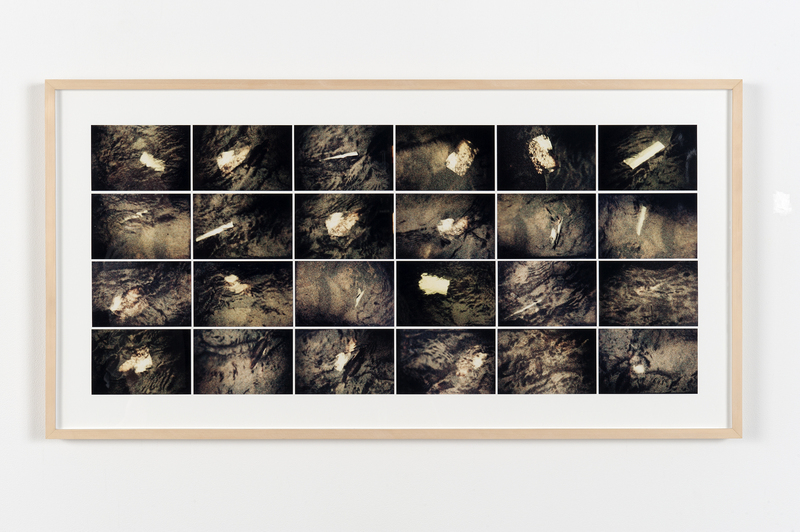 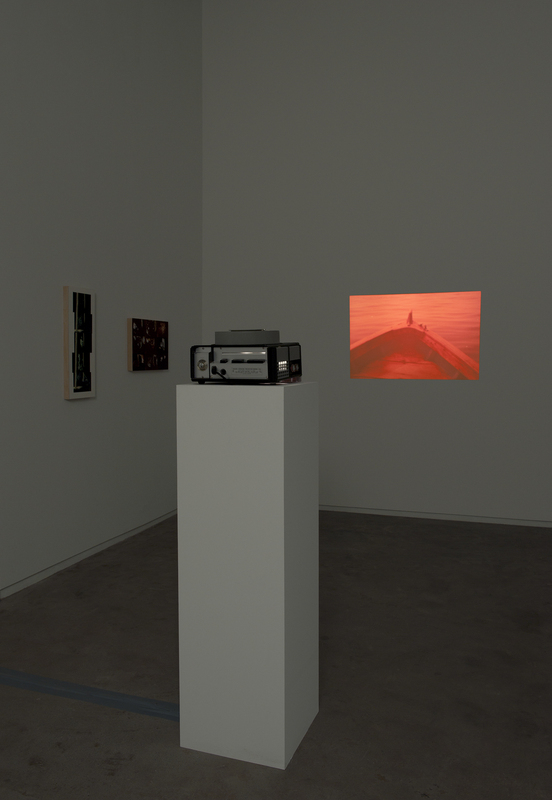 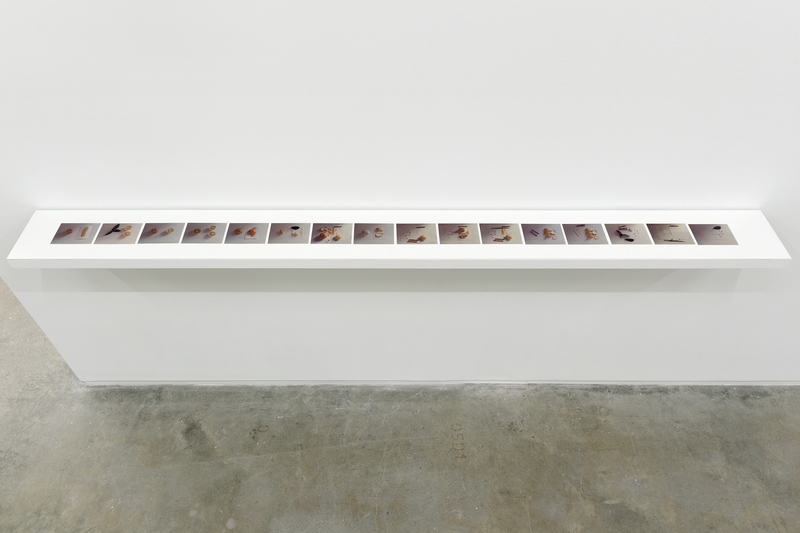 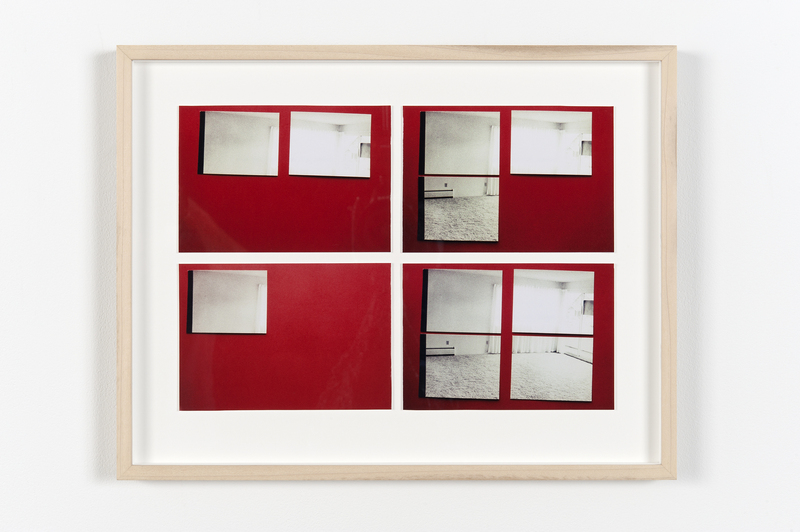 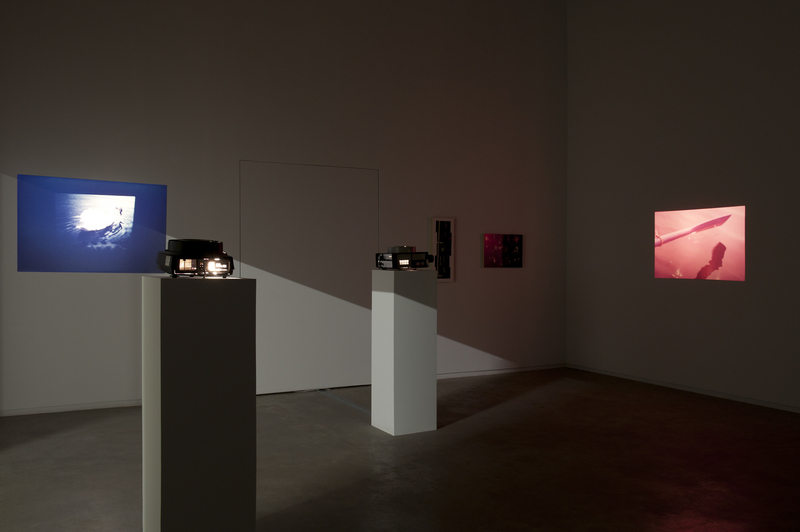 Kleyn continually worked with the format of the slide less so to produce an image but more out of an interest in its material capacity as projected light, its ability to project one object onto another and the inherent sequential possibilities within its display, such as in the key work Corners (1975–76). 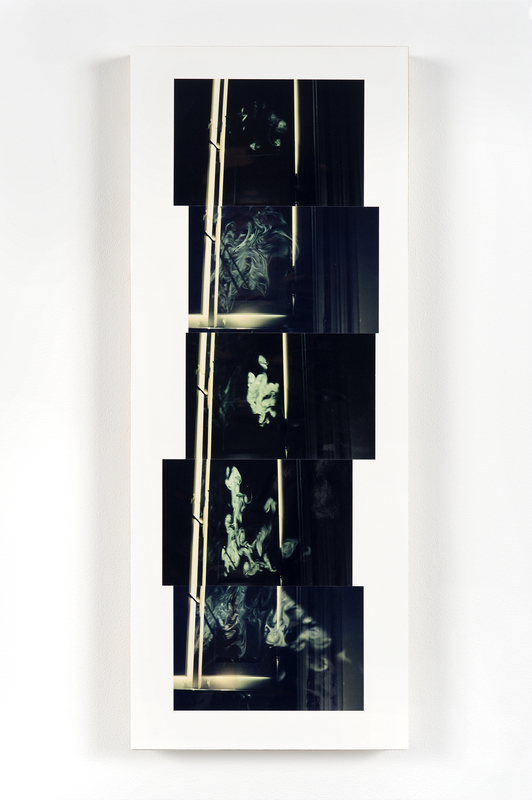 Drama and the unconscious saturate works such as Dream Drowning (1977) and Faqir (1976), while the corporeal close-up in Fixation (1974) the eye is considered at the split second instant of revelation to the negative and vice versa at the moment of taking a photograph. 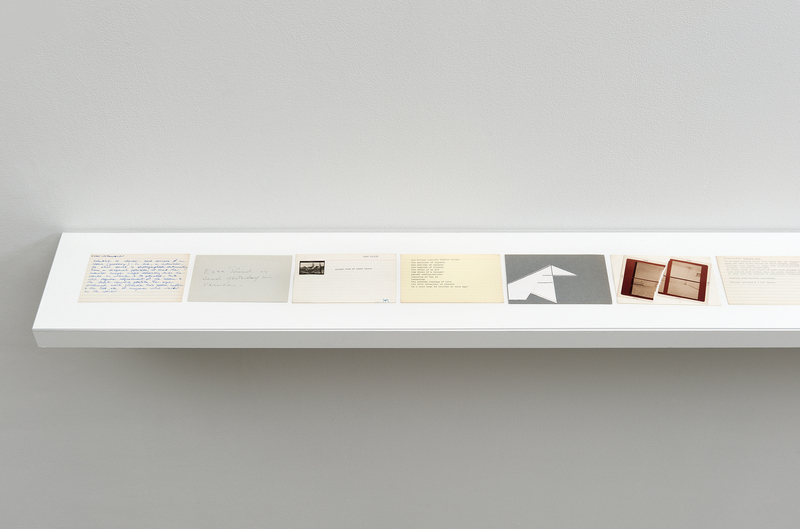 Over the course of three decades the artist maintained a box of index cards, each card representing ideas via instructions, sketches and collages. 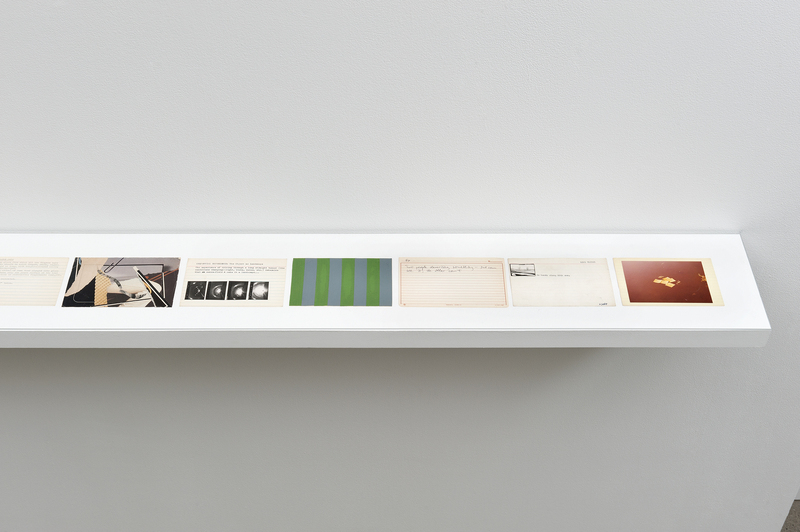 A selection of these cards is displayed in the exhibition, indicating to the quasi-perfunctory action of the formal realization of the works themselves. 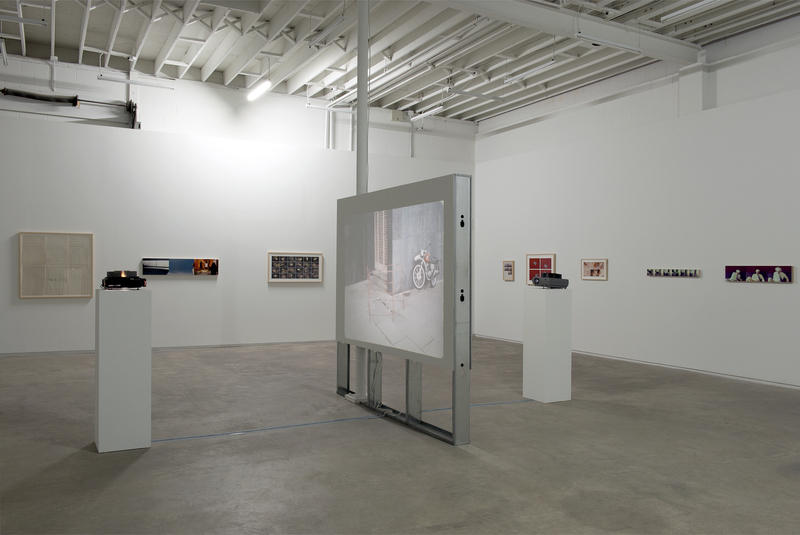 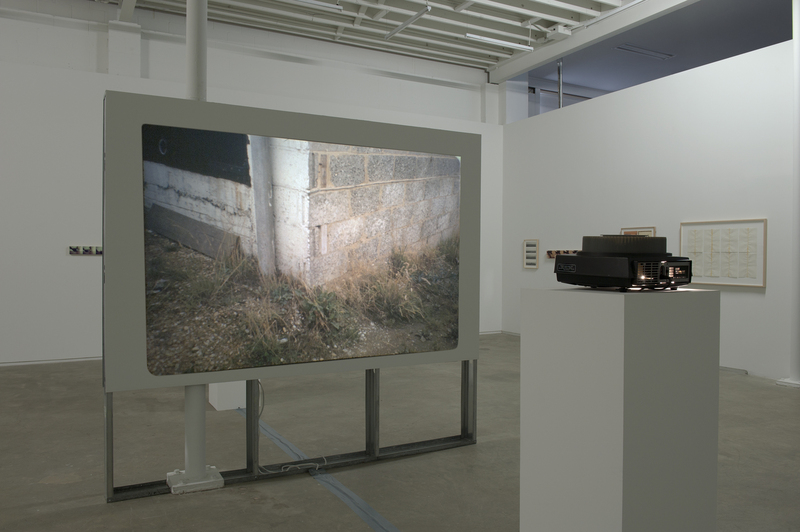 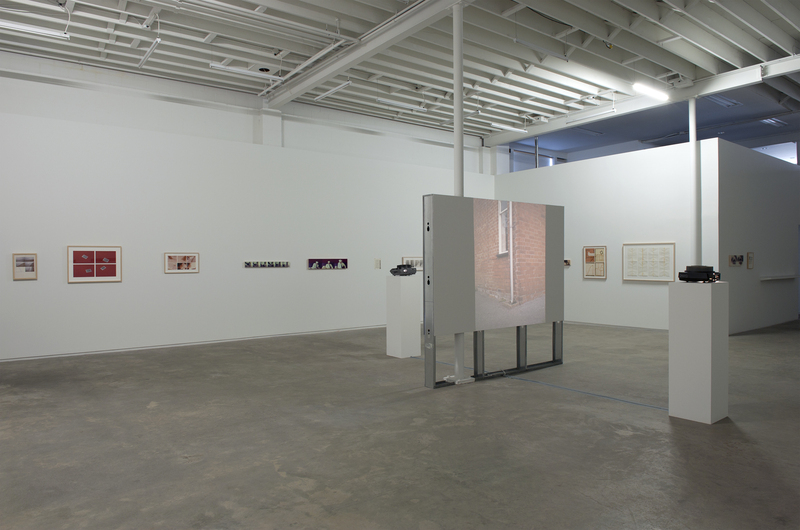 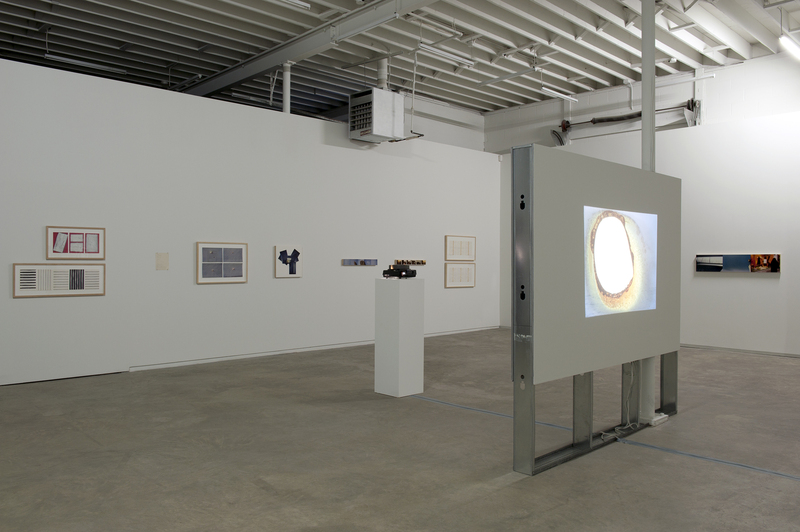 Kleyn spent most of the 1980s living in New York, extending his ideas into video and sculpture. Since the early 90s he has been based in Vancouver practicing both as an artist and architect. 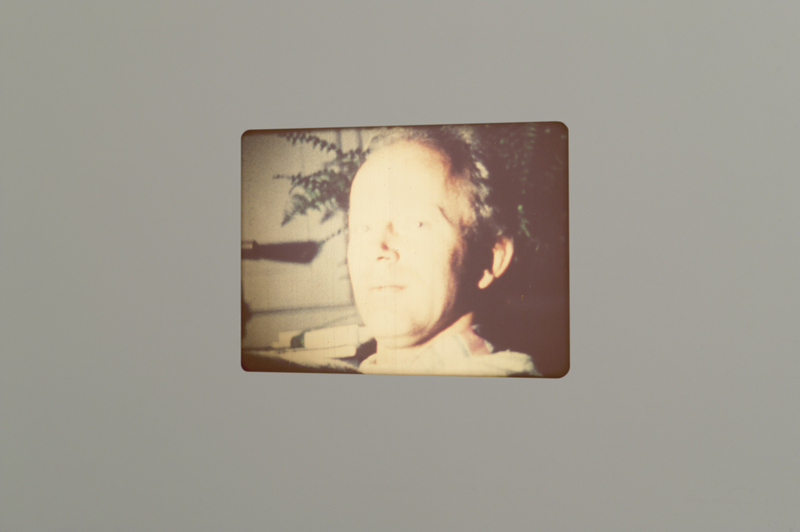 Robert Kleyn (b. 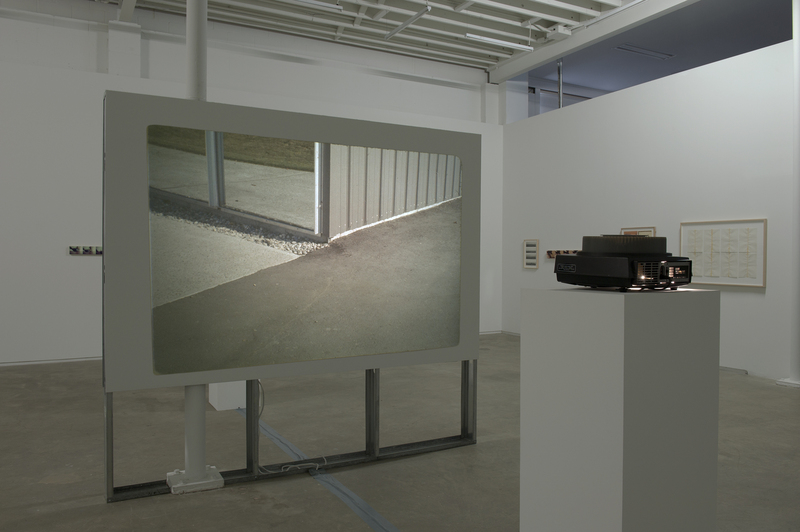 1948) was born in Amsterdam and currently lives and works in Vancouver. 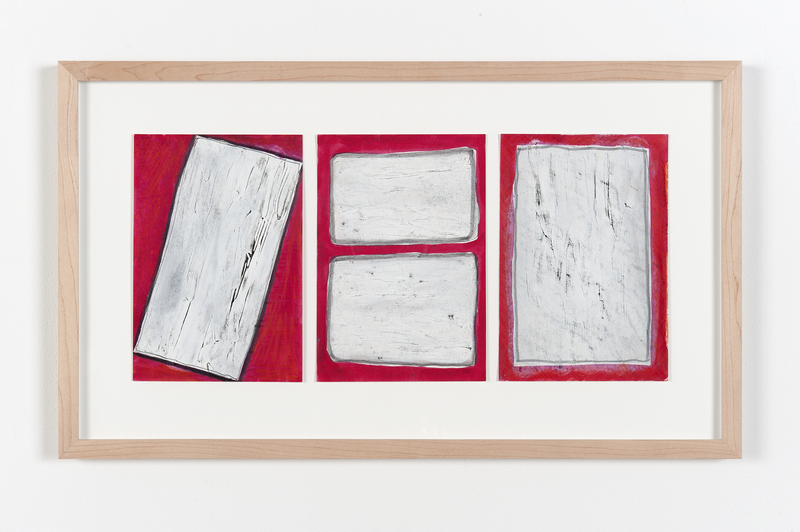 Throughout the 1970s his work was included in exhibitions at the Vancouver Art Gallery; Pender Street Gallery, Vancouver; Centro di, Roma; Modern Art Agency, Napoli and Contemporanea, Roma. 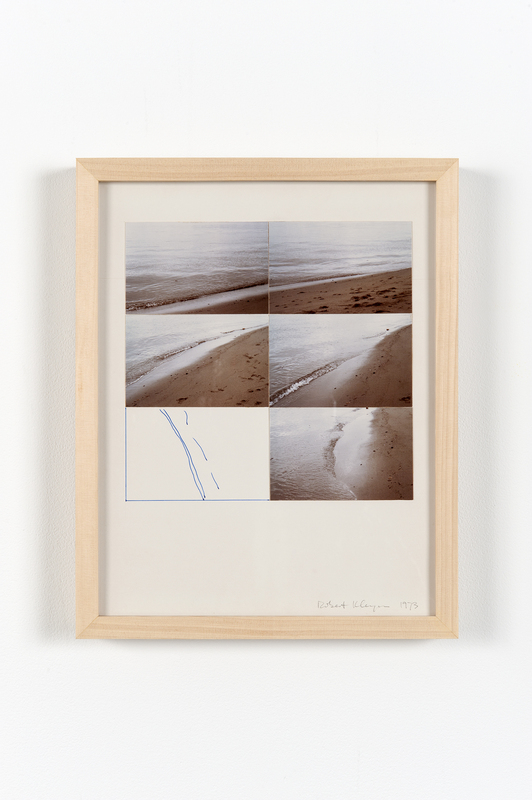 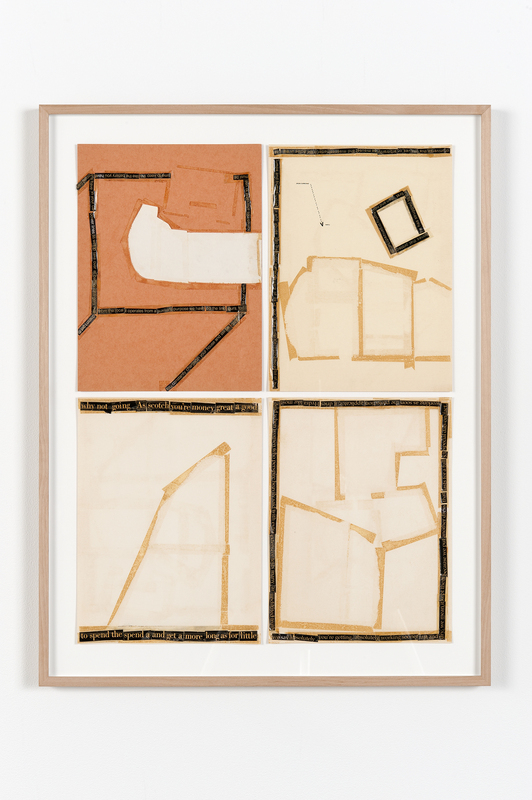 His work has also been included in group exhibitions at the Galleria Nazionale d’Arte Moderna, Rome (1980); Cabaret, White Columns, New York (1983); Art & Social Consciousness, Bard College, New York (1984); Graham, Kleyn, Wall, Wallace, Studio Casoli, Milan (1989); Vancouver in the ’70s, Vancouver Art Gallery (1989). 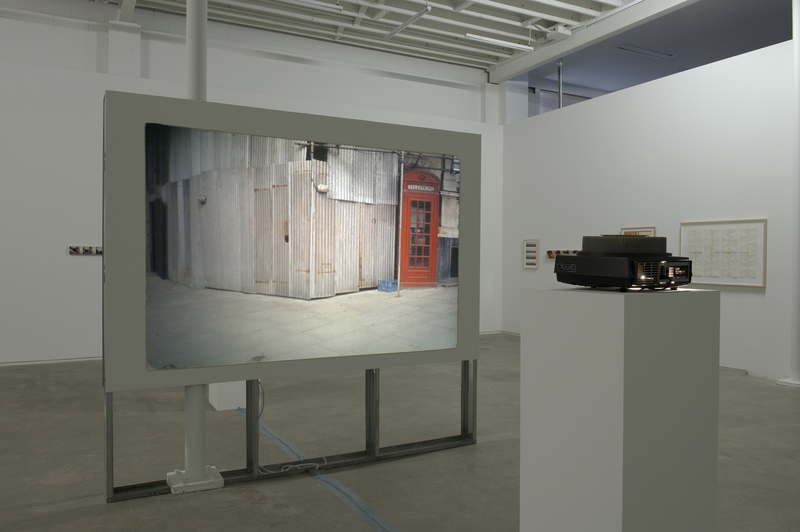 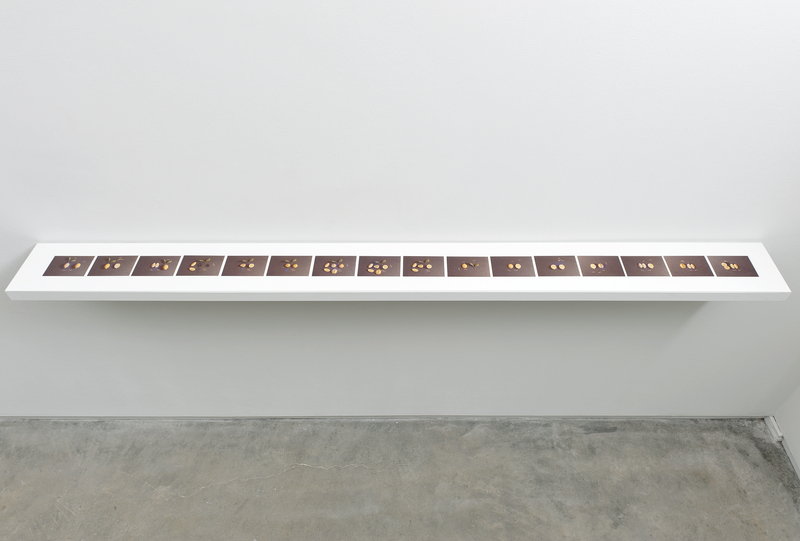 Kleyn has had solo exhibitions at the Canadian Cultural Centre, Rome (1988) and the Belkin Satellite, Vancouver (2004) and his work was included in the recent exhibition We: Vancouver 12 Manifestos for the City, Vancouver Art Gallery (2011). 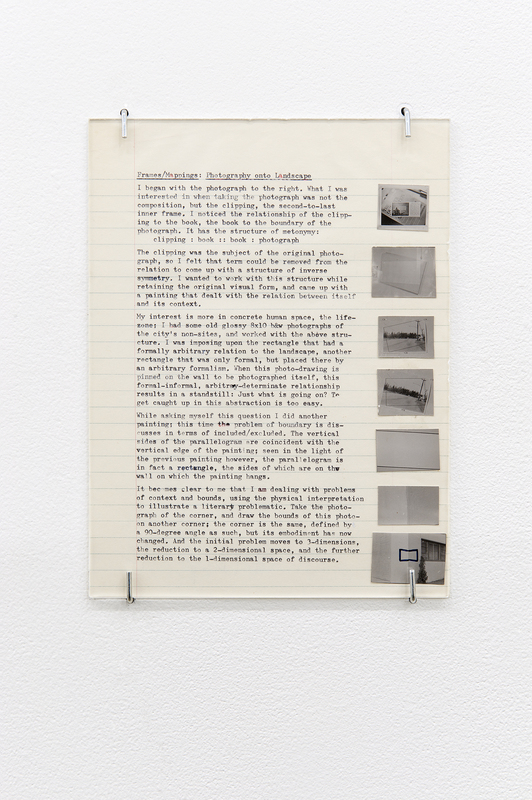 In 1993 he curated the exhibition Beneath the Paving Stones at the Charles H Scott Gallery and as a writer has contributed texts to Some Detached Houses (1993) and Ian Wallace: Images (1989).